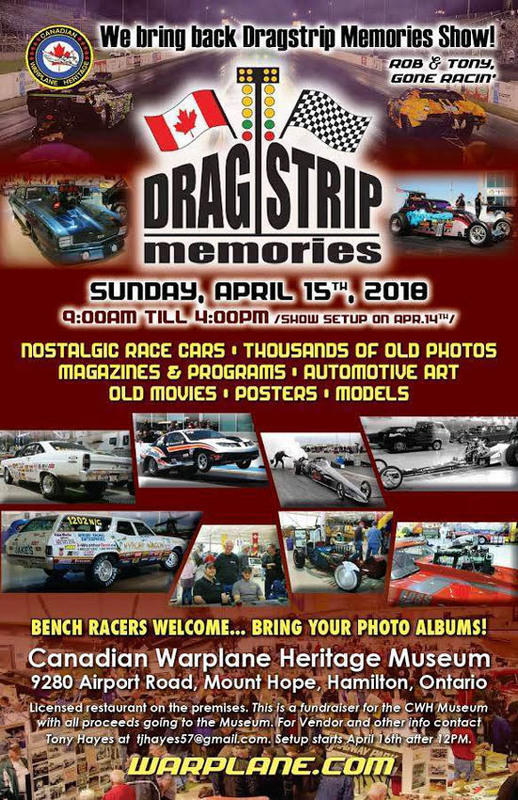 After a year's hiatus Dragstrip Memories will be returning to the Canadian Warplane Heritage Museum, presenting the largest collection of historic drag racing cars and memorabilia in Canada. The vintage Warbirds of the museum will be relocated in the large hangar to present some of the most outstanding cars in this country. 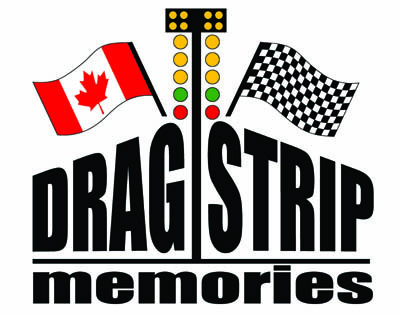 Along with the Paton Top Fuel Dragster and the Northern Warrior Jet Dragster, the show will feature other jet-powered vehicles, front-engined dragsters, Pro Modifieds, several period Gassers, and a gaggle of Stockers and Super Stockers. This year's show will be held Sunday, April 15, 2018, with doors to open at 9:00 a.m. until 4:00 p.m. The Canadian Warplane Heritage Museum is located on Airport Road in Mount Hope, just south of Hamilton, and provides ample parking.